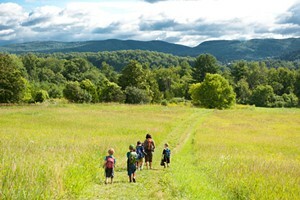 Hearty Hotcakes | Home Cookin' | Kids VT - small people, big ideas! Nothing takes the chill out of a November morning like a hot, hearty breakfast. Either oatmeal or pancakes does the trick, so why not combine them to intensify the rib-sticking effect? 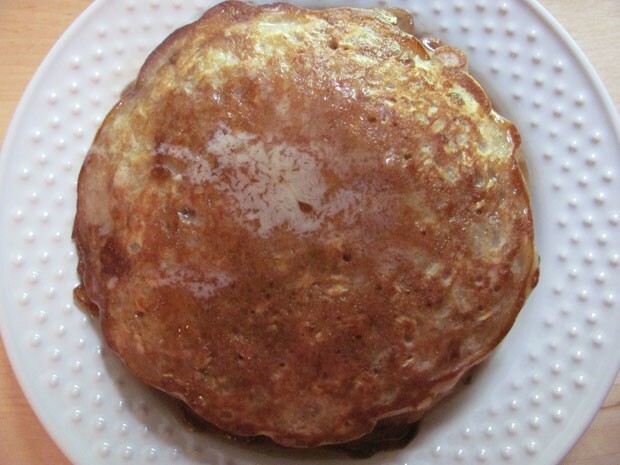 Aside from the energy they provide, Oat Pancakes are a healthy — not to mention economical — alternative to the processed pancake mixes on the market. And they can be made on the fly: Combine the dry mix, stash it away and you'll be ready whenever the kids have a hankering for some hotcakes. In a large bowl, combine the oats, flour, baking soda, cinnamon, salt and brown sugar. Using a -cup measure, scoop batter and pour onto a hot, lightly greased griddle or skillet. Flip the cakes when bubbles form on top and the edges appear dry, after about 2 minutes. Cook until the second side is golden brown, about another minute.